It should come as no surprise after hearing the story about how gum became a special treat for our children that Chavela and the Magic Bubble was our favorite picture book of the week by Monica Brown. Chavela loves bubble gum and enjoys sharing a piece with her grandmother every Saturday. On one of these Saturdays, Chavela purchases a package of Magic Chicle at the market with her abuelita. She learns that her great-grandfather was a chicelero, one who harvests the sap (chicle) from sapodilla trees in the rainforests of Mexico for chewing gum production. 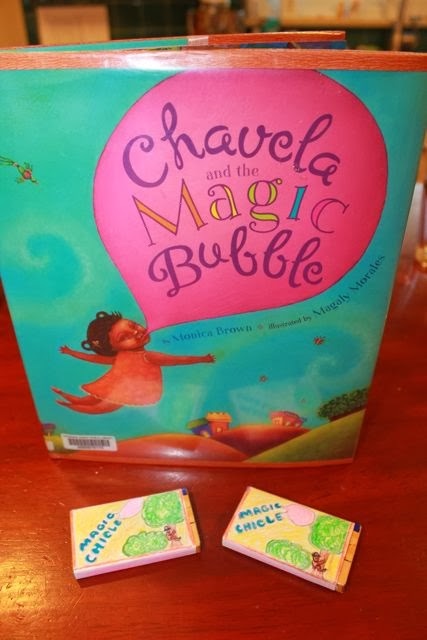 Upon chewing every piece of the Magic Chicle, Chavela blows a bubble that carries her on a magical adventure that brings her a greater understanding of her heritage. Monica Brown is the author of thirteen picture books and a professor of English at Northern Arizona University. She wrote Chavela and the Magic Bubble after her daughter asked where chewing gum came from. Instead of answering without thinking, Monica researched chicle and sapodilla trees to give her daughter "a really good answer." (Colorin Colorado). 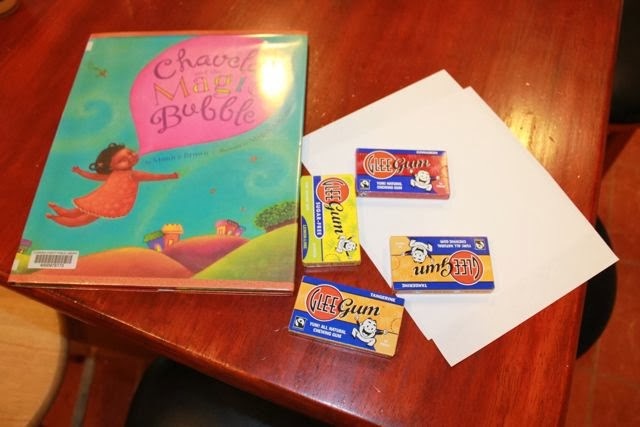 Then, she added imagination and a little magic to what she learned about chicle and a story was born. Monica Brown also credits her children with becoming a children's author. After careers as journalist and a literary scholar she became a mother to two daughters. She described in an interview with Colorin Colorado, her experience reading to them, "I started to read and discover the world of children's books, rediscover it, and there were really no stories about people that I thought were pretty important." Monica Brown's first picture book, My Name Is Celia: The Life of Celia Cruz illustrated by Rafael Lopez, is about one of those people that Monica Brown thought was important enough for her daughters to read about. My family and I met Monica Brown and Rafael Lopez at the National Book Festival 2013 where they shared their latest picture book collaboration, Tito Puente, Mambo King. We had Monica Brown sign Waiting for the Biblioburro, a book that was inspired by a librarian that "delivers books to children who live in remote villages with the help of his two burros, Alfa and Beto." (Click here to read more about Luis Soriano Bohorquez.) The book is about Ana, a little girl who loves to read, and says to the librarian who visited her village with the Biblioburro, "I thought libraries were only in big cities and buildings." The librarian replies, "This is a moving library." The conversation between Ana and the bibliotecario inspired me to gather a few of the neighborhood children to read Waiting for the Biblioburro with us at our brand new Little Free Library. 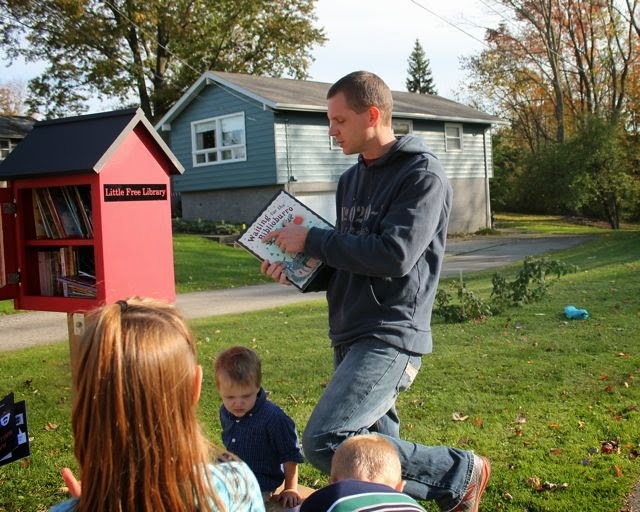 Our house was chosen by the local school district as one of five locations for Little Free Libraries around the city. 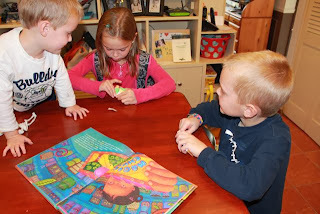 The goal of the project is to provide another way for books to find their way into the hands of children. Our Little Free Library has been open for about a week and it was so exciting to talk about it for the first time with the neighborhood children. I explained to the children that the books in this Little Free Library were their books. They can take them home whenever they would like and then bring them back when they are finished. One of the girls from the neighborhood said, "This was just like the book except we read a book under the Little Free Library instead of a tree like the librarian did." I am so excited to be a part of this community project! Reading a book under the Little Free Library was the original plan for our birthday celebration for Monica Brown. However, after my children enjoyed Chavela and the Magic Bubble, I was inspired to do one more thing. I went to my local Earth Fare market and picked up a few packs of Glee Gum. 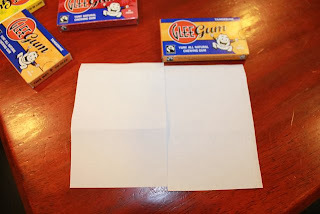 Glee Gum is an all-natural chewing gum that is made of chicle from sapodilla trees. While my gum chewers were off at school I took the time to cut a piece of paper to size to make a label that matched the Magic Chicle from the book. What do you think of my labels? I was pleased, but what would my kids say? 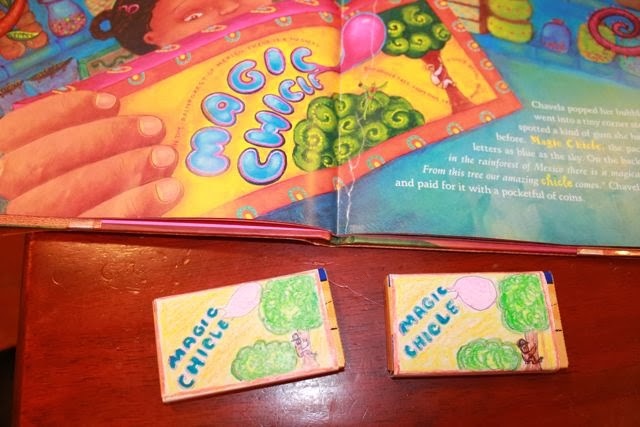 I left the Magic Chicle on the kitchen counter along with the book. I knew my children would see it as soon as they came in the kitchen. They were pretty excited to try the natural chewing gum. My son said, "Is this real Magic Chicle?" His older sister "popped his bubble" and said, "No, Dad made it." We compared product labels of the Glee Gum to a synthetic bubble gum brand. Then, we viewed photographs on the internet of sapodilla trees and chicle harvesting. Thank you Monica Brown for writing this book. We now know where chewing gum comes from! You may have noticed my youngest son, 3-years-old, in one of the pictures above. 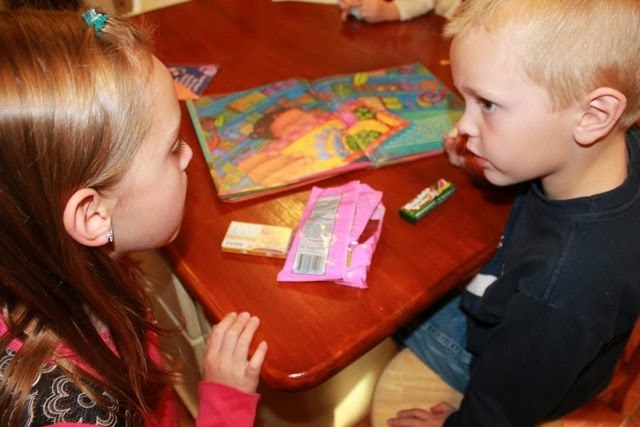 He said, "I want a piece of gum." I said, "You can have a piece of gum when you are six." There wasn't an argument, but the lollipop I gave him certainly helped! 5. Monica Brown writes for Cynsations about writing for illustrators too! LATINOCHILDRENSBOOK SYDNEYHUJIK from Cronkite News on Vimeo.